Once you learn how to cook dry beans, you may never use the canned again. Not only is it healthier it tastes great. Once you learn the few extra steps to cooking beans you can have some cooked and frozen for future use. I prefer pressure cooking dry beans. However if you don't have a pressure cooker, we discuss below how to cook dry beans on the stove and the crock pot. Here is how I like to cook dried beans. You can do this process with any type of bean. 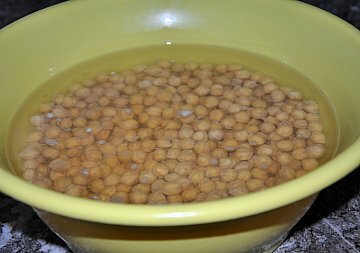 Step 1: Add your dried beans in a large bowl. Step 2: Cover with water. Let sit overnight. Step 3: Drain beans and add to a large pot. Step 4: Add quartered onion, chopped carrot, celery, ham or meat bone (optional) and a bay leaf. 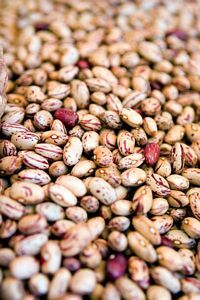 These add flavor to your beans while they are cooking. Step 5: Cook one hour on low or until beans are tender. Step 6: Discard bone, bay leaf, etc. Step 7: Use beans in your recipe. Allow to cool and freeze in plastic containers. Presoak and cook as directed above. Do not add salt or any acid while they are cooking. 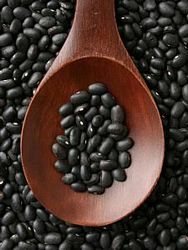 You can use cooked black beans to make refried beans, add to salads, stir in soups, chilis, with rice and much more. Presoak and cook as directed above. Do not add salt or any acid while they are cooking. Use garbanzo beans as a side dish sprinkled with salt and pepper, hummus, tossed in salads, added to soups, etc. Pre-soak and cook as directed above. Do not add salt or any acid while they are cooking. To make refried beans out of pinto beans, mash beans and add a little water and seasonings of choice. Blend together. Freeze in plastic containers. Lentils are the one bean you can add right into your soup. 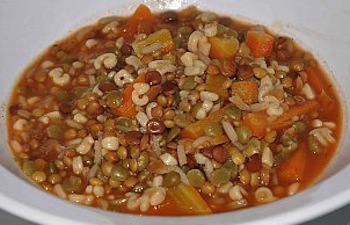 Try Lentil soup. They don't need to pre-soak. To cook, 1 Cup lentils, add to large pot and add 1-1/2 Cups broth. Cook as instructed above by adding chopped onions, etc. Reduce heat and cook 15 minutes until tender. Taste test if not tender cook an additional 3-5 minutes. Add all ingredients to crock pot. Cook on low 10 hours. Allow to cool and freeze 2-3 Cups of beans per baggies or plastic containers. You can substitute your cooked beans for canned in any recipe. Here are a few to try. Drain beans and rinse. Add all ingredients together in saucepan and simmer 10 minutes. Mix 1 can pork and beans, 1 Cup kidney beans (drained), and 1 Cup butter beans (drained). Add beans to meat and bake 1 hour at 350 degrees or cook in the crock pot. Share your how to cook dry beans tips and recipes.